I had a much longer post planned for today, but I don't have time :(. So instead I thought Id share this heartwarming story from fellow blogger bakerella. 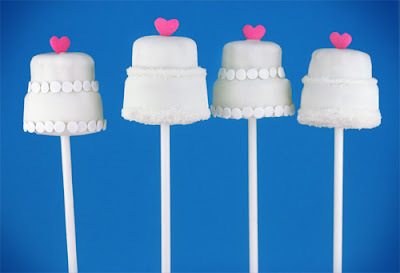 And BTW - I bought lollipop sticks yesterday so I can make cake pops too -- probably not wedding cakes though, think I might make some turkeys (which might just be an excuse to buy candy corn).